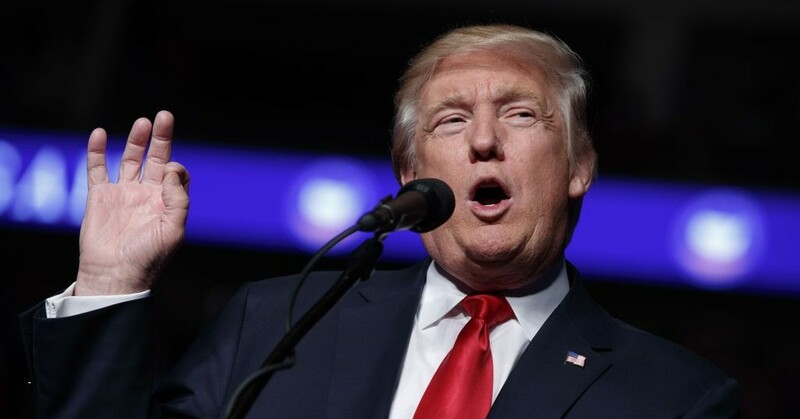 US President-elect Donald Trump called on the Obama administration Thursday to veto an Egyptian-proposed UN Security Council resolution demanding that Israel immediately halt its settlement activities in the West Bank and East Jerusalem. The call came as a report emerged that outgoing US Secretary of State John Kerry indicated to the Palestinian Authority that Washington would not use its veto power, and as Israel was scrambling to head off a possible surprise move by the US in the final days of the Obama administration. An unnamed Israeli official told the Walla news site that Kerry told a Palestinian delegation to Washington earlier this month that the US would not veto the resolution. Senior PA official Saeb Erakat denied the claim, according to the report. Kerry was expected to deliver a statement on the stalemate in Israeli-Palestinian peace talks on Thursday afternoon, ahead of the vote taking place later Thursday at the UN Security Council. Israel’s security cabinet was holding an urgent meeting in Jerusalem on Thursday evening ahead of the expected vote later in the day. 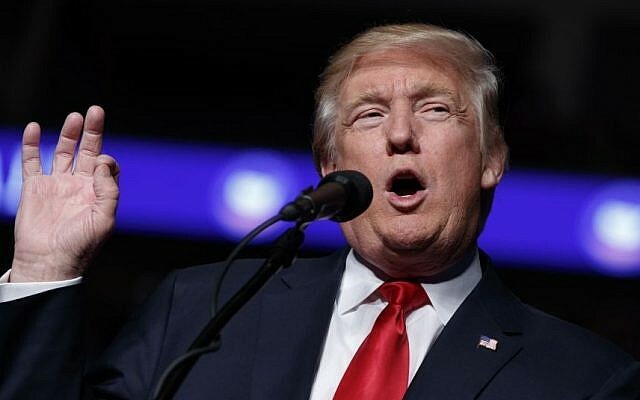 “As the United States has long maintained, peace between the Israelis and the Palestinians will only come through direct negotiations between the parties, and not through the imposition of terms by the United Nations,” he said. A similar resolution was vetoed by the United States in 2011. Earlier Thursday, Prime Minister Benjamin Netanyahu also called for a US veto at the Security Council, with a senior Israeli official charging that the US would be in breach of its commitment to not back one-sided anti-Israel resolutions if it allowed the resolution to pass. 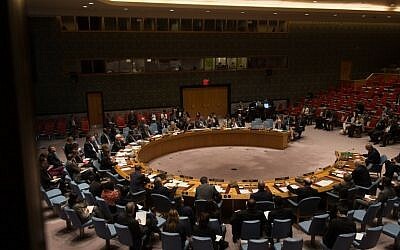 The US should veto the anti-Israel resolution at the UN Security Council on Thursday. On Wednesday, in a surprise move, Egypt — which currently holds a non-permanent seat and represents the Arab Group in the council — circulated a draft that will be voted on at 10 p.m. Israel time Thursday. It further expresses “grave concern that continuing Israeli settlement activities are dangerously imperiling the viability of the two-state solution.” It calls on all states “to distinguish, in their relevant dealings, between the territory of the State of Israel and the territories occupied since 1967,” which some analysts say invites boycotts of Israeli settlements goods. On the other hand, the draft also condemns “all acts of violence against civilians, including acts of terror, as well as all acts of provocation, incitement and destruction,” which some in the international community understand as turning the resolution into a “balanced” text. 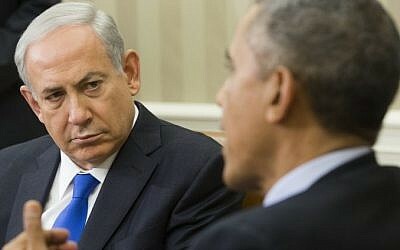 Over the last few months, as Jerusalem prepared for the possible anti-Israel resolution at the Security Council, Netanyahu often quoted that passage from Obama’s speech, insisting that the White House block any effort to advance Israeli-Palestinian peace effort via international forums.